California Highway Patrol officers in San Diego County arrested 55 drivers on suspicion of DUI in the just the first 36 hours of the Labor Day holiday weekend this year. The arrests were made on county freeways and unincorporated roads, CHP Officer Robert Catano told the Times of San Diego. The number of arrests increased by 21 from the same time period last year, when there were 34 suspicion of DWI arrests in the first 36 hours of the Labor Day weekend. If you’re charged with DUI anywhere in the southern California region, you need legal counsel; don’t try to be your own lawyer, and don’t just plead guilty. Instead, speak at once with an experienced Orange County DWI defense attorney. 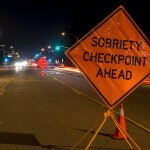 With Labor Day behind us and the holidays ahead, it’s the season when California police agencies set up more sobriety checkpoints. At a sobriety checkpoint, always be courteous and polite. Do not argue or be contentious, and you have a good chance of making it through the checkpoint unscathed. Keep your answers short and exact. Don’t try to “explain” anything; if you’re asked a yes-or-no question, just answer “yes” or “no,” or politely explain that you prefer to exercise your right to remain silent. 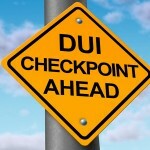 You also have a constitutional right to decline field sobriety tests, but if you are formally arrested for suspicion of DWI in California, you’ll have to take a breathalyzer or blood test. Of course, whenever you plan to drive, abstaining entirely from alcohol is the best idea. However, if you’re pulled over, arrested, and charged, get help as soon as possible from an experienced California DWI defense lawyer. Although there is never a guarantee in any particular case, a good DUI attorney can often bring into doubt any test results and testimony offered against you. 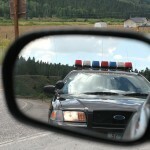 A DWI charge can sometimes be reduced or dismissed entirely, or an acceptable plea bargain may be agreed to, or you may be found not guilty at a trial. 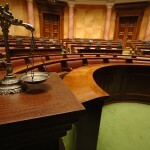 A good DUI lawyer can evaluate your case and offer the aggressive legal defense that’s right for you. If you face any DWI charge in southern California, make the call right away to an experienced Orange County DWI defense attorney.